Click the chart to track more bond yields. So much for the bond bubble bursting. And that may be great news for consumers, especially those looking to buy a house or refinance their mortgage. Treasuries have been rallying since the Federal Reserve decided to delay scaling back, or tapering, its bond buying program last month. The fact that Congress kicked its debt problems to next year helped spur more bond buying too. That pushed Treasury yields down considerably during the past few weeks, with the 10-year yield sliding to around 2.5%, its lowest level since July. Bond prices and rates move in opposite directions. How long will rates stay this low? Could they go even lower? Most bond experts think long-term rates will rise again when the Fed begins to wind down its stimulus program. But that may not happen until sometime in 2014. 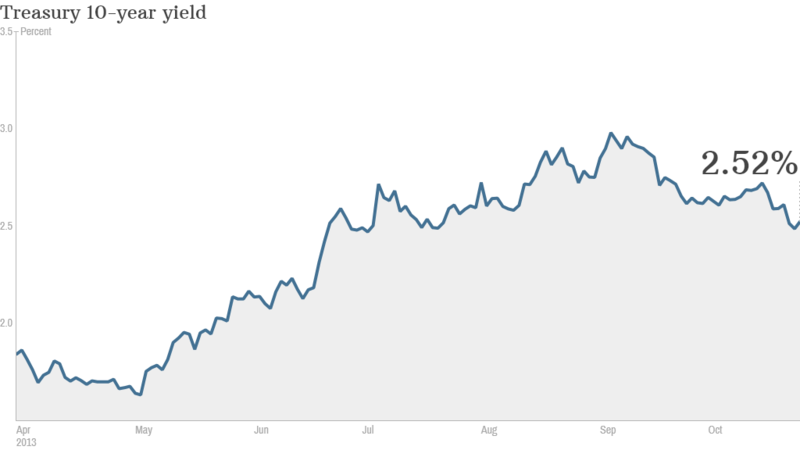 Analysts also don't expect bond yields to jump as quickly and sharply as they did this summer. Tapering fears pushed the 10-year yield from 1.6% in May to almost 3% by early September. That dramatic spike led to a sizable increase in mortgage rates during the past few months. As a result, applications for loans to buy new homes dropped. And refinancing activity fell to its lowest levels since the depths of the financial crisis in 2008. 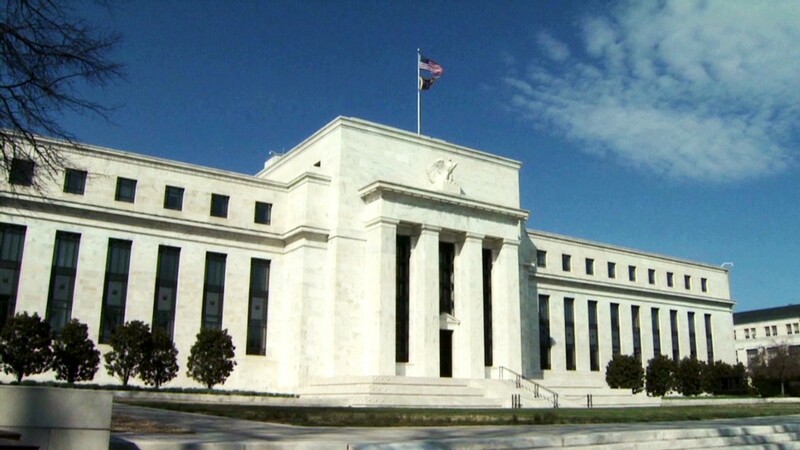 "The Fed will be careful to avoid giving the market any surprises that would possibly result in unwanted tightening of credit conditions again," said Gary Thayer, chief macro strategist at Wells Fargo Advisors. The Fed is deeply concerned about derailing the housing recovery, which has been one of the bright spots of an otherwise sluggish economic rebound. "Housing is critical to the recovery, and the big danger to housing is that mortgage rates rise too far or too fast," said Russ Koesterich, chief investment strategist at BlackRock. "The Fed knows this." So what does this mean for interest rates? Thayer thinks the 10-year Treasury yield will creep up to 2.75% by the end of the year and 3% by the time the Fed begins cutting back on its monthly bond purchases early next year. He's not expecting a dramatic rise after that though, since he thinks the Fed will do what it can to keep interest rates relatively low through the middle of 2016. But another bond expert said rates will remain around where they are now for some time. They could even fall further. Robert Tipp, chief investment strategist at Prudential Fixed Income, said the Fed must do what it can to keep the 10-year Treasury yield between 2% and 2.5% in order to maintain economic growth of at least 2% a year. "I don't think you'll see the Fed come out and signal that they are putting of tapering, but they're not willing to risk another debacle where they lose control of the bond market and rates spike so sharply that they threaten the economic recovery," he said.